Part I of a five-part series looking back at the 2012 expansion draft. History does not record whether anyone proclaimed, “Good pick!” or cursed and muttered, “I was just looking at him.” More likely, most of the league had stopped paying attention since they were done drafting. After Eovaldi, only five picks remained. Yet Eovaldi is notable as one of just 19 players among the four expansion teams who was selected or acquired prior to the 2012 season and remains with his original club as our 2014 season winds down. That’s 19 out of 145 players — just 13%. 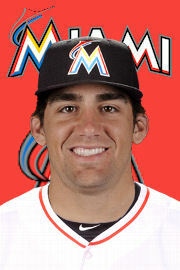 Eovaldi was the latest player chosen to hold that honor. That’s right. In less than three full seasons, 87% of the players who were originally drafted or acquired by the four expansion teams prior to Opening Day 2012 already have been cut or traded. In this five-part series, we look back at the league’s expansion plans at the time and examine the status of each of the four clubs that came into being that year — the Iowa Cyclones, Michigan Moneyballers, Satellite Beach Brawlers and English Pigdogs, now known as the Destin Beach Bums. If the goal of the structure of the expansion draft was to allow the clubs to build for the future, the player turnover seems to indicate either a flaw in the plan or an impatience on the part of the new franchise GMs. But does that even matter? If you recall, the league decided in 2011 to expand from 12 to 15 teams, and then midway through the 2011 season, learned that Detroit Demo Dogs manager Ken Kuzdak was bowing out of the league after 32 years. That led to the Demo Dog Dispersal Draft, which allowed each of the four franchises to scarf up three of the Demo Dogs. Only three of the 12 players selected in that phase — Iowa’s Ryan Howard, and Satellite Beach’s Justin Upton and Wilson Ramos — remain with their clubs. That was followed by a nine-round expansion draft in which the expansion teams plucked players from the 12 legacy franchises. Only 4 of the 36 players chosen in that phase — English/Destin’s John Jay, Iowa’s Jayson Werth, and Michigan’s Ben Zobrist and Ricky Nolasco — remain with their clubs less than three full seasons later. Then came a waiver draft of unprotected players. Not a single one of the 15 players claimed by expansion teams remains with their club now. Some clubs then began wheeling and dealing, acquiring draft picks or players, before we finally had our March draft, in which expansion teams were given first-round draft positions of 1, 3, 5 and 7, then middle-of-the-round positions 6-7-8-9 for every round, plus supplemental picks after rounds 1, 2 and 3. When it was all said and done, between 34 and 40 players spent time on an expansion team roster before the club threw out its Opening Day pitch in 2012. That totals up to 145. Fifty-one of those 145 (35%) have been traded away, and 75 of the 145 (52%) have been outright released. You can see the complete breakdown here. Next, we look at each individual franchise, analyze their turnover and assess their development status.